Hydraulic press is designed for manufacturing of superhard materials using high temperature and high pressure. The press DО138B produces a pressure of 6300кP. The measured values in control system are effective amperage I(kh) and voltage U(kh) in the circuit of heating, where h is the sampling time. The active power P(kh) is calculated as I(kh)*U(kh). 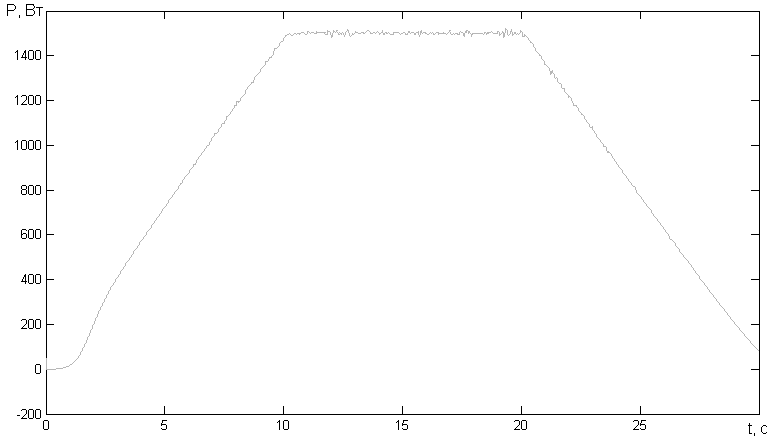 The reference signal P*(kh) is a required value of active power. 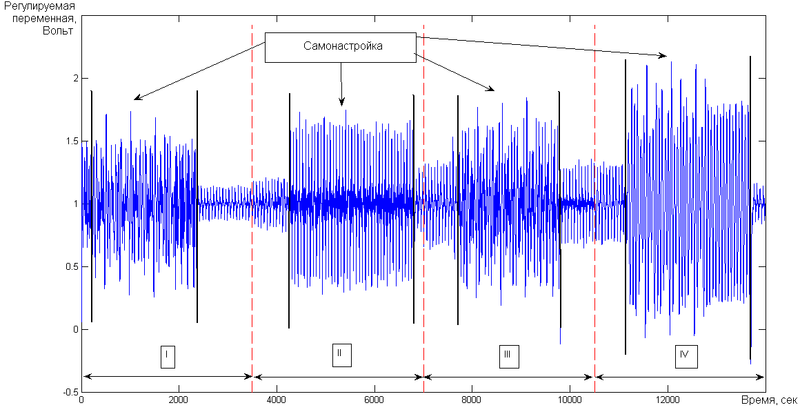 The actual value of P(kh) must follow the reference signal and change in accordance with specified cyclogram. This is provided by using of PID-controller. The difficulty of control process is that the dynamical characteristic of heating process change for different materials. So, the controller must be tuned for each pattern to provide desired quality of control. 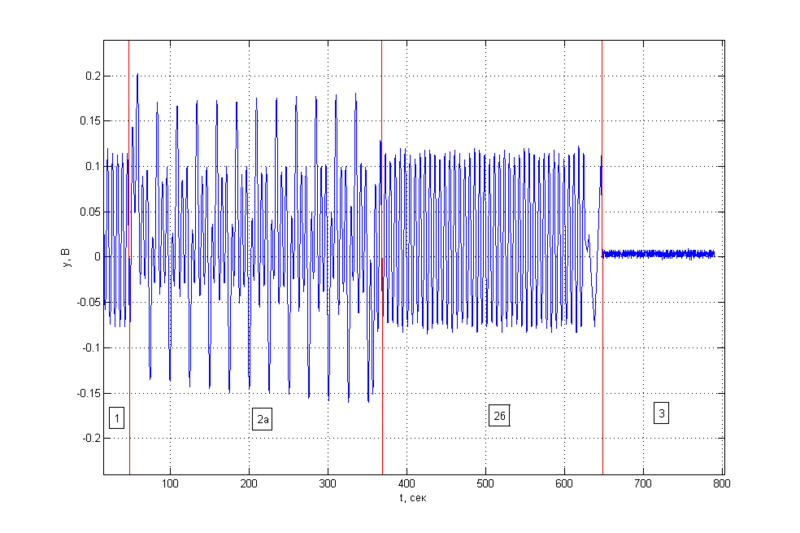 The figure 5 shows that the real power follows reference signal and control error doesn’t exceed 1.3%. 3 – plant output in the closed-loop system. 1 – 2а – stage of self-tuning of test signal; 2б – stage of plant identification with test signal, controller calculation; 3 – plant output in the closed-loop system. The figure shows that controller CHAR-25 provides required disturbance suppression. For clarification, see the figure 4. 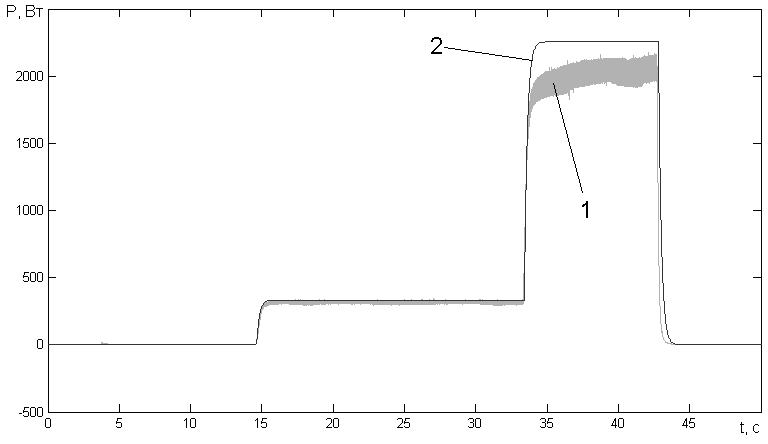 In the Iva interval + , the plant is controlled by the PID-controller that was tuned for the plant in the third mode. In the IVb interval the PID-controller was tuned. In the IVc interval the plant is controlled by the PID-controller that was tuned for the plant in the fourth mode. Therefore, the controller ST-PID-1 provides stable operation of the system. The test signal is applied to the plant in the adaptation process only and gives the small deviation of plant output. .